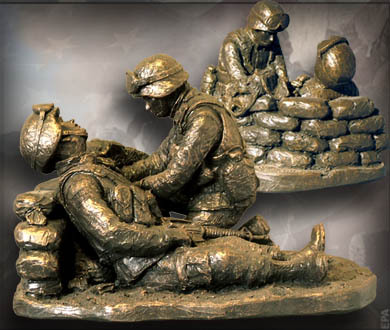 The Combat Medic’s job is to run into danger to pull American soldiers out. 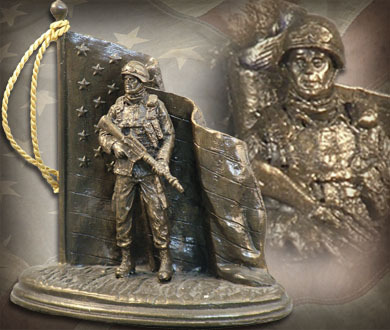 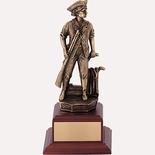 This sculpture depicts the true American heroes of the United States Military. 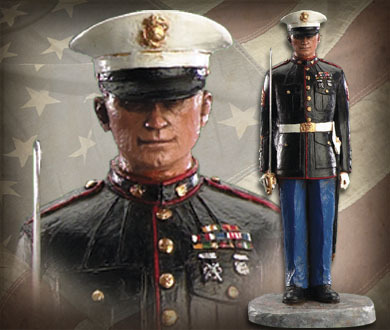 From the Michael Garman Military collection. 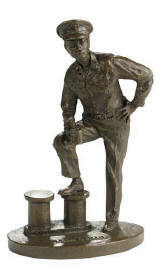 Sculpture measures 6.5″ x 7.25″ x 5.25″.